There are many marketers who love to take a swing at a new ad campaign each day only with the hope that it will finally win the game. And so while testing they use a lot of different images, test various demographics and interests and even tweak their copy again and again. Today, Facebook has emerged to be one of the best advertising platforms for both B2B and B2C businesses and markers are using the platform to promote their products or services. Even if you have years of experience in advertising on Facebook, it is vital to test both your ad’s design and also its targeting. Every time you plan to create a new campaign, take some time to create at least 4 different Facebook Ad Designs and test them all. Every post has a unique design and by testing your ads you will be able to understand which one would perform better than the others. Your ad may contain an offer and that may be clear to you, but may be vague for those who have never heard about you. So if you want to be successful with your Facebook ads, then it is important to clarify your offer and make it incredibly clear to all. To select images and create great ads, you don’t have to be a professional photographer. Simply pay some attention to the quality and the size of the media files that you are working with. You can check the recommendations for your advertisement objective in the Facebook Ads Guide. Simply creating an attractive ad for Facebook is not enough to get visitors click on it. It is important to schedule the ad at the perfect time if you are not targeting the international market. Instead of running your expensive ads all time, it is recommended to choose the best time slot of the day for your ad and place it so that you get the maximum clicks. Urgency plays a vital role in encouraging the visitors to take quick actions. It is a proven fact that visitors or purchasers take quick action if the ad has an expiry date, price increase or any limited offers. If your ad doesn’t contain any real urgency, then you will lose great business opportunities. Most people resist to purchase products because they are scared of losing their hard earned money. This is why free products are often more effective. But this does not mean that you should give your product for free, but to gain the trust of your visitors or consumers, you can add some social proof like testimonials, reviews and etc. This will help to increase the credibility of your brand. When it comes to buying things, emotion plays a great role. A range of product may have some effect on the rational self, but no effect on the emotional self. If your Facebook Ad design can address both the rational and also the emotional side of the user, then it would be great to capture audiences. So, with the above tips it’s time to create your Facebook add without any failing. 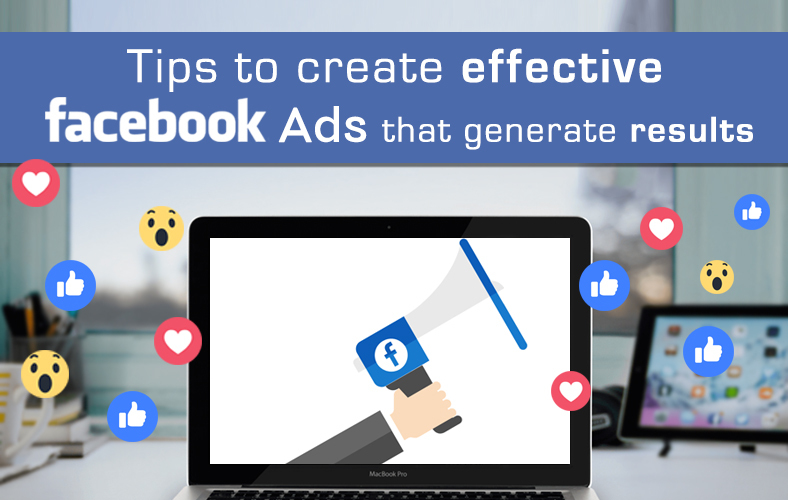 By planning out an appropriate strategy for your Facebook ad, you can enjoy immense business benefits.